Gossip Stone: Are Detailed Character Backstories Necessary? Hyrule Warriors gave us a taste of what it is like to have several classic Zelda characters from across the whole timeline interacting together, but of course, we had our new characters. These include Lana, Volga, Wizro and Cia. The most backstory we got on any of them came from Cia and Lana, and many people were put off by how simple their stories were, but is that wrong? 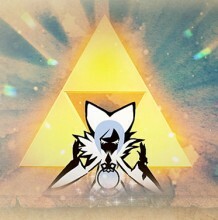 Is having detailed character histories in modern Zelda games a must? Join the discussion after the jump! Needless to say, gamers are often tough to satisfy these days. Many want to see main and supporting characters with nothing less than deep, detailed backstories, to make them interesting, likable and relatable. I often agree. To be honest, I wish to know why the characters around me are doing what they are doing, and what makes them special, but that is all possible with little more than a few minutes of monologue. Cia and Lana’s story in Hyrule Warriors is made up of no more than an intro cutscene, and a plot twist in the second half of the game, and I liked it! The art style was cool and well used, the facts made sense, and it told all that it needed to. Why go so far into more detail when we can, instead, go straight into more gameplay. The older Zelda games are great examples of this whole idea. The original NES Zeldas had simple, short paragraphs to describe their plot, but barely touching on the characters. A Link to the Past and Ocarina of Time had short intro bits and a few key character interactions to explain how things fit together. Even Majora’s Mask, with its deep character interactions making up the story, did not detail much about the people’s backstories; not even Skull Kid had that much said about him beyond his friendship with the giants. There have been amazing tales told in the series, at least partly due to the great characters supporting them, but there has, a lot of the time, not needed to be much background info about main and supporting characters. I think that that fact is still true today, but that is just my opinion. What do you guys think? Should characters in upcoming Zelda games have more background details told about them, or should these games take from their predecessors, and lessen the load on backstories? Leave a comment below!